Your beauty. Your life. Your style. Couture 360 offers an upscale full-service salon with a close-knit team of talented professionals, inviting facilities specifically designed for each service and a wide selection of premium products to elevate your experience. 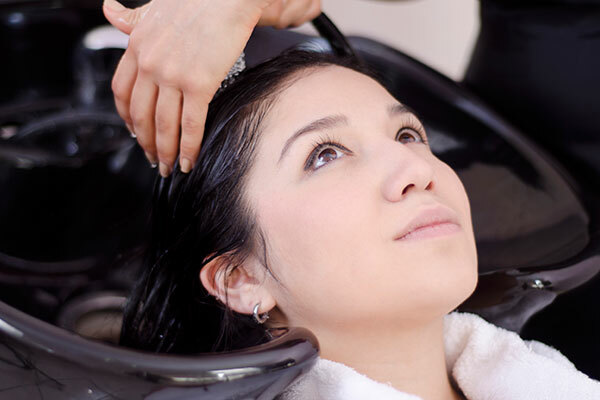 Whether you want a sublime cut and color or a complete 360, this award-winning salon caters to your every need. The salon and spa treatment area is located around Couture’s unique 360 circular design and each has a special “feel” that compliments the service. From the highly acclaimed Lather Lounge to the relaxing massage and skin care suite, Couture 360 clients experience a level of tranquility paired with the ultimate comfort of knowing you’re in the hands of experienced and caring staff. How you feel about yourself can affect how you think and act, your reactions to others, and your attitude towards your world. We invite you to experience the difference. We believe that when people have a passion for what they do, they create something really great. That’s why each member of the Couture 360 team is dedicated to ongoing training and further education to bring you the very latest in trends and techniques. In a fast changing industry, you can always feel confident that at Couture 360, you are on the cutting edge of style and fashion. We’re in the spirit of giving all year long. We don’t underestimate the power of positivity and giving. As a salon, we believe it’s our responsibility to make an impact in our community. Check out our current fundraisers and see how you can help. The gift of pampering and relaxation is always in style. Whether you need a gift for a mother, daughter, grandmother, teacher, friend, coworker, mom-to-be or bride-to-be, a Couture 360 gift card is sure to excite them all. Gift cards start at $25. Questions about products, haircare or body treatments you are considering? Email us via the form below and we will respond within 2 hours.